Penta, the neighbourhood lifestyle brand under Rosewood Hotel Group, is back in Moscow after 20 years. 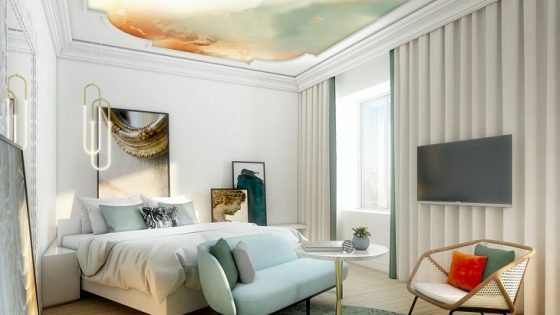 Formerly operating as the ‘Moscow Olympic Penta Hotel’ under different ownership, the property had closed its doors in the late ‘90s, only for the brand to make a much-anticipated re-entry into Russia with its latest addition, Pentahotel Moscow, Arbat. A first in Russia for both Penta and Rosewood Hotel Group, the opening marks another milestone in the brand and group’s global expansion. Pentahotel Moscow, Arbat is located in one of the four famous “book houses” – The Book on Novy Arbat Avenue. The Book is a mixed-use building, and is among the first high-rises to appear in Russia on Novy Arbat 15. 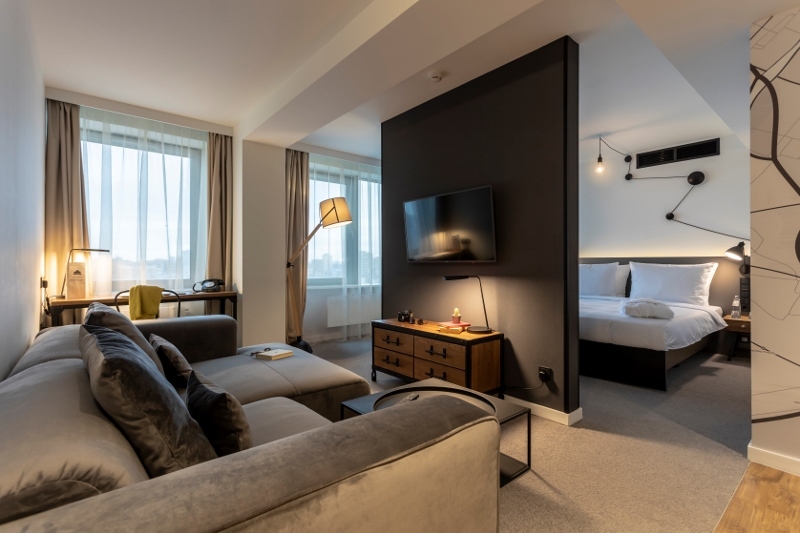 After a major overhaul, the building now offers three new accommodation types – Pentahotel Moscow, Arbat, for visitors to the city, serviced apartments for rent, and apartment suites for permanent residents. 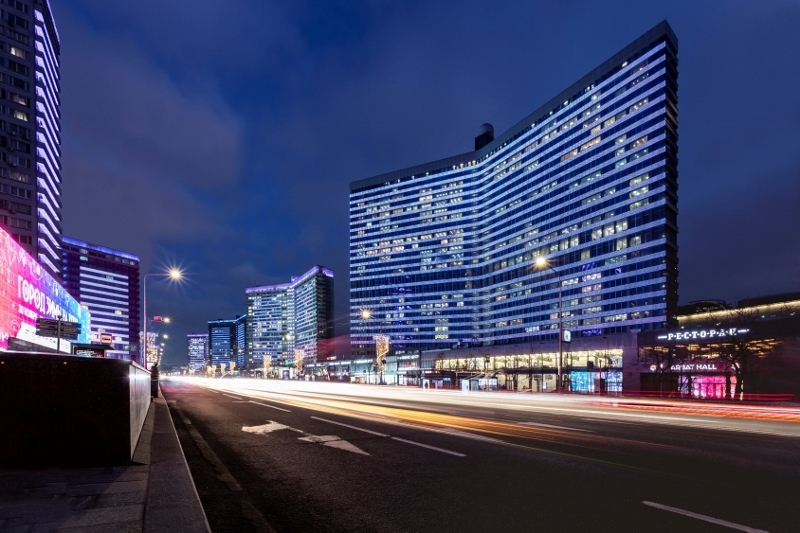 Developed by mastermind developer/ author Capital Group, The Book is a 26-storey building with 28,900 sq.m that stands as a place of modern history fused with three state-of-the-art urban living solutions in the heart of Moscow. The dynamism of The Book stems not only from the commitment to delivering top quality comfort to its residents, but also from the very history of the property, which was constructed to reflect the contemporary side of Moscow – ‘The Book, is done for living’. 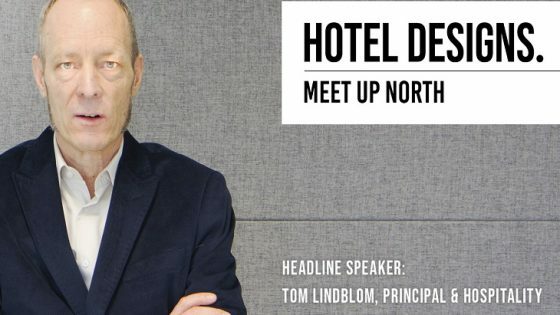 Occupying six polished floors, Pentahotel Moscow, Arbat also carries the mission of bringing Penta’s latest global design concept to life: the trademark Pentalounge, 228 guestrooms and a Pentagym. Meeting rooms range from 44 to 82 sq.m and are equipped with the latest technology and facilities to accommodate any occasion, from trainings and board meetings to personalised events. The Pentalounge is the first stop for guests checking into the hotel at its signature bar. 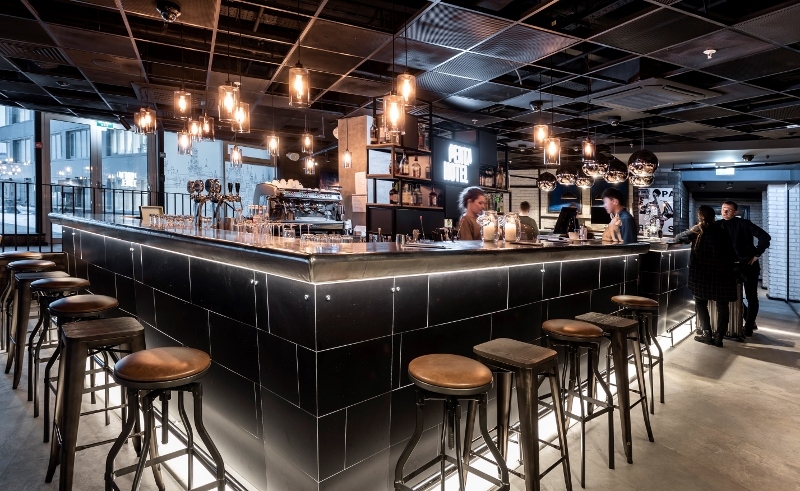 With its open atmosphere and lifestyle features, the multi-functional space is set to become a lively hub and gathering point in the city for both travellers and Muscovites alike. The restaurant includes the enticing “bistro style” Breakfast Box, serving freshly-made morning delights, while the Pentalounge adopts a more “living room-style” vibe, and is open for travellers and locals to find the brand’s signature dishes, homemade local cuisine and warm conversations in a cozy environment. The opening marks the eighth country and 29th property in Penta’s ever-expanding portfolio. Thanks to a very efficient product model, high level of centralised support and relatively low development cost, Penta enjoys a strong track record of delivering a high return on investment, which appeals to owners and investors around the world. 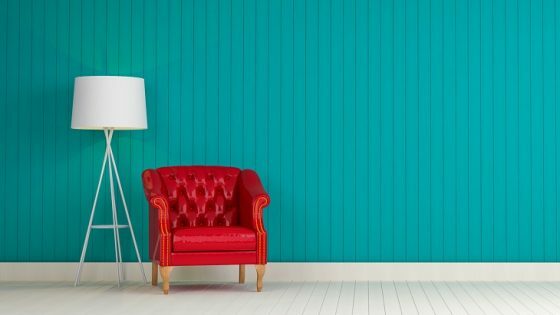 The brand is spearheading substantial growth with its upcoming openings in Asia, along with a significant number of developments currently in the pipeline.